AWeber is the email marketing service which is the secret ingredient to the success of many businesses around the globe. Tom Kulzer is the founder who created it to in order to save himself time back in 1998. Whilst studying mechanical engineering at college, he was also selling wireless modems back in the days when most people were still dialing up their internet connection. He had developed a website and had created a series of email. Interested people would sign up for more information when he attended computer shows. Then, over the course of the following days and weeks, he’d manually send them more information to their inbox. When he needed to make his time more efficient so he could focus more on college work, he created a program to send these emails automatically. It wasn’t long before other people selling the same product wanted to use his system, and so he set up a website. 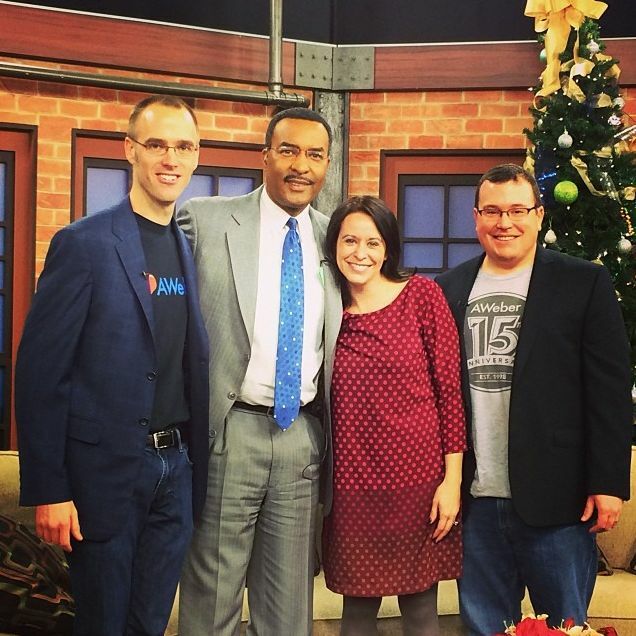 He harnessed the opportunity and invented the first autoresponder capable of sending multiple emails. Tom has turned this into a business success to be proud of, and AWeber is now recognized as one of Pennsylvania’s Best Places to Work, for the past 5 consecutive years. Tom soon stopped selling modems and had people approach him to buy his program off him. He ended up setting up his own website in which he provided the service to people. Back then, it was called Automated Web Assistant. However, he and his friend shortened it to AWebAss when chatting about it. When looking for a catchier name, that was obviously not an appropriate option, so Tom condensed the name further to AWeber. This was back in the early days on the internet when Google and PayPal didn’t exist. So this made setting up an online business a lot harder than it is today. Tom had to install his own servers and install his own software onto them. He had to come up with infrastructure management, figure out the email delivery, and even find a solution for accepting credit cards. In August 1998, Tom had his first paying customer. However, it was a month later before he was finally able to process payments. AWeber now has 120,000 client users who are all over the world, paying a minimum of $19 per month. And he has a team of around 100 people. For the first year and a half of business, however, Tom ran it by himself and hired no-one. He was software development, sales and customer service. Like any business owner, he knew his inside out and figured things out as he went along. But in hindsight, Tom wishes he had hired people sooner. Although it’s a scary thing to do, after hiring the first few people, it’s no longer a big thing to do. It made life easier and he had the revenue to do it. As businesses grow, you have to remove yourself to avoid becoming a bottleneck for your business. With a team who thrive, and do their jobs well, you can actually hurt your business by being too involved. You need to find the right balance. By stepping away, you’re not ignoring the business and leaving them to it. But when every decision needs to go through you, you are holding up the processes. So you should help staff to make the right decisions themselves. That means that next time a problem arises, they can take the right course of action and you’re no longer a bottleneck. In business, you can’t have people waiting for you. Gino Wickman and Mark C. Winters talk about businesses needing integrators in their book Rocket Fuel. They are people who work behind the scenes of businesses to make the ideas of visionaries a reality. Although Tom doesn’t have a specific integrator in his business, he does have a CEO, Sean Cohen, who has worked at AWeber for 15 years. They complement each other with their differing strengths and weaknesses. Relationships like this are key to business growth. By recognizing your weaknesses, you can hire people who do those things well in order to delegate some of your roles to them. That way, things can be done better. Now, Tom works with his teams in development and HR, as well as interacting with customers through a variety of different ways. He also prides himself on having a great work environment for his team. It is essential for this to be better than other businesses, in order to attract the right people to you. With a nice place to work, they have a high level of staff retention, and AWeber has featured as one of Pennsylvania’s Best Places to Work, for the past 5 consecutive years. 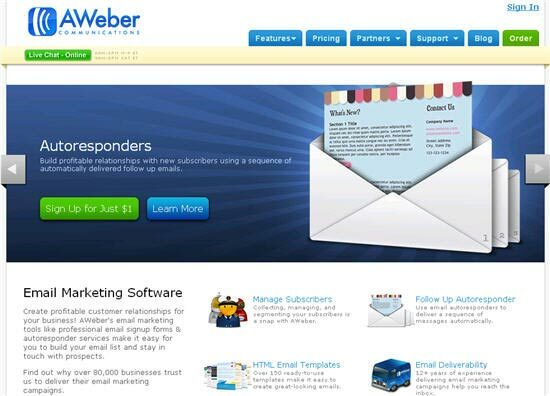 AWeber sits in a very competitive marketplace, with many other companies offering similar email marketing services. But over the past 18 years, Tom has managed to keep his relevant. This is something they’ve achieved by listening to their customers and coming up with innovative things which help businesses solve their problems. On the other hand, it’s about knowing when not to listen, as customers may not always know what’s best for them. Plus they stay focused by not jumping on every bandwagon which passes. Another reason is that they differ from their competition. Although others may call themselves email service providers, they actually don’t own their own email delivery network. And when these are outsourced, they lack control and live at the will of the actual provider. AWeber sends out over 1 billion emails a month. In order to make sure they all go out successfully, it has a reputation system to ensure businesses are using these services to their best potential. They do this by looking at the emails which are sent and looking for things which change, and can, therefore, hurt a sender’s reputation. This could include changing the frequency of emails from weekly to daily, as well as spam bounces and complaints. Not only do they work with customers so they can do the right things, but they’ll also boot out anyone abusing their systems. A mailing list is an asset for any business. So it’s important you entrust it somewhere it will get looked after. When you’re looking to choose an email service provider for your business, it’s always good to ask others for their opinions. In fact, this is an important step when looking for someone to provide any important service to you. Find out what other people have used, and use now, as well as finding out about their experiences. This then helps you to equip you with the right knowledge to make an informed decision. You also need to be honest about what your own technical abilities are. If you’re likely to need help, then a free solution isn’t going to have anyone to help you fix problems. At AWeber, it’s common for clients to need help designing templates and putting forms on their websites. And if you’re looking for automated systems, it’s important to make sure it is actually automated. That way, you can get back to doing other things in your business, knowing that it’s working. It’s also handy if the service you choose has control of its own delivery network. Also, make sure it has the right features for you. There are lots of marketing, segmentation and automation features available with AWeber for users who need them. But a company like Infusionsoft, who sit in a different marketplace, focus on a lot of different things. Although ideal for some businesses, for others it can be overkill and an expensive option when you’re not using those other features. 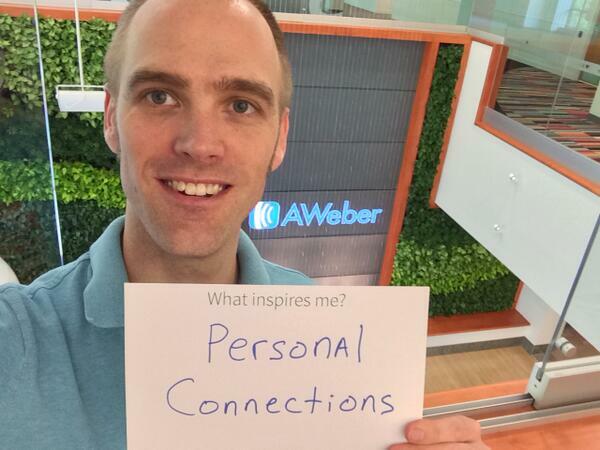 At its core, AWeber has five values which filter through to every aspect of what they do every day. Listen to What People Say About Us. Invite Feedback. Don’t Take Ourselves Too Seriously; Have Fun. In fact, these are all things Tom finds himself quoting every day. If something doesn’t create a remarkable experience, then they should do something else. And although every decision they make may not be perfect, they do all align with the core values. These have resulted in a brand, team, and service which Tom is proud of, knowing that the principles are always there. Click here to visit the AWeber website, where there are many free resources available, as well as loads of useful information on their blog about email marketing. It’s also where you can find out more about Tom, AWeber, and the incredible workplace he has created for his team.